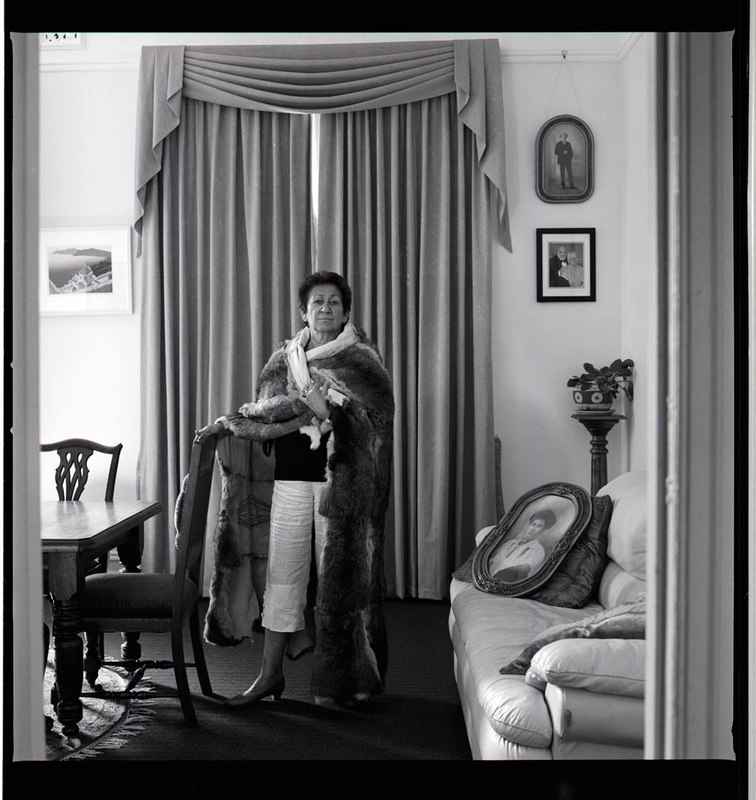 Mt Noorat Hotel: Wergaia Elder Professor Eleanor Bourke, silver gelatin print, 60x60cm, Koorie Heritage Trust, 2011 Wergaia Elder Professor Eleanor Bourke is the proprietor of the Mt Noorat Hotel, near Warrnambool, She has dedicated her career to fighting for Aboriginal rights in her roles with the Victorian Aboriginal Heritage Council and Native Title Services Victoria. She has never lived on Country but was lucky enough to be raised by her grandmother Eleanor Pepper who told her stories about her Aboriginal culture. The pelican is a family totem, so she has pelican sculptures watching over her and bringing her good luck.